Can they top Last Round's shopping list? By the time Koei Tecmo were done adding DLC to Dead or Alive 5, it had just under £1000 of paid additional content. That's not a typo, and possibly a record. Today sees the launch of sequel Dead or Alive 6, and while we don't know if Koei are planning to shatter previous efforts, they have at least laid out a road map for the game's Season Pass 1, which costs around $93 USD/ £74 GBP and only covers the content listed below. Day One sees the addition of a pre-order character, the mischievous minx Nyotengu, alongside new costumes for herself and new girl NiCO. 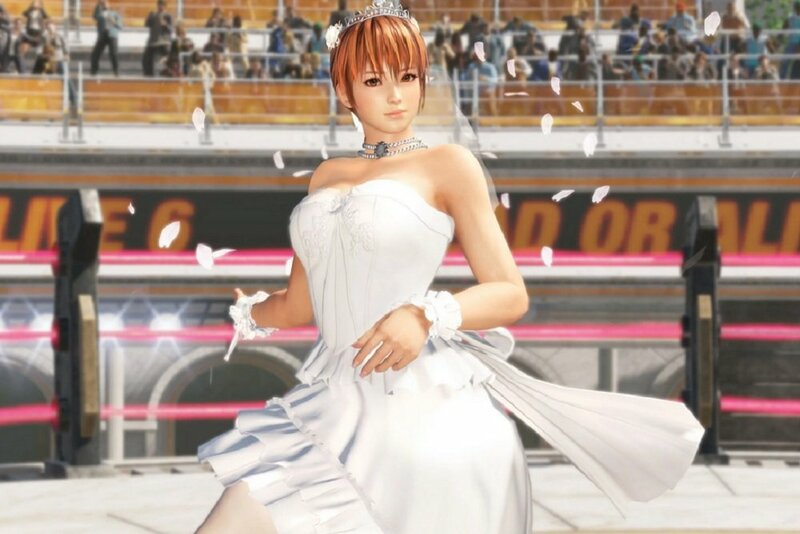 Also available are two separate packs of wedding themed outfits for the guys 'n' gals, so you can have your favourite kunoichi snapping necks on her way down the aisle. The DoA 6 Deluxe Edition also includes Kasumi clone Phase 4 (The Deluxe Edition does not include Season Pass 1). 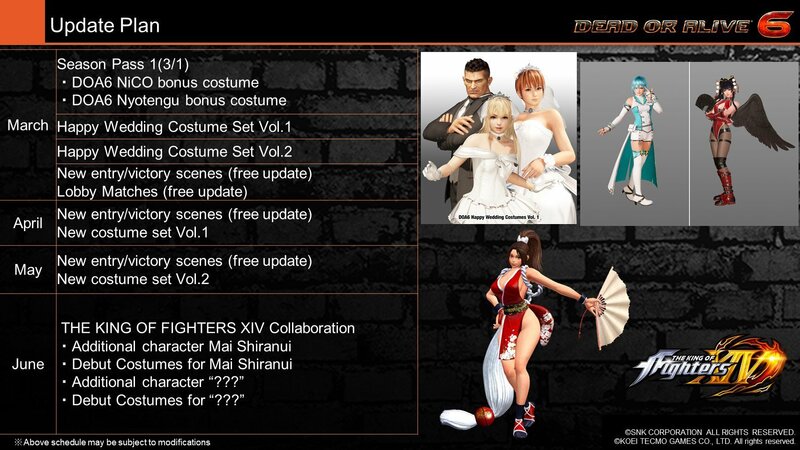 April and May will both see their own costume packs, featuring new gear for the entire roster, while June brings two new characters, both of whom will be guest stars from SNK's The King of Fighters XIV. We know one of them is the iconic Mai Shiranui, but we are yet to discover the identity of the other. Both of these characters will be receiving alternate outfits. That's the general layout for DLC for DoA 6 for the next four months. Denoting the first season pass with a "1" pretty much guarantees it's going to be business as usual with this latest bout. It should also be noted that a disclaimer suggests possibilities that DLC "not included in the list above may be released during the same period, but it will not be covered by this Season Pass 1." Dead or Alive 6 launches today on PS4, PC and Xbox One.